Godspeed You! Black Emperor have added a second Los Angeles date. In addition to a performance at the Fonda, the Canadian godfathers of all that is holy and good in the world of apocalyptic post-rock will be playing at the much larger Palladium on February 22, 2011. Tix go on sale today at 5:00 pm here. I had some stuff to do in New York this winter so I figured I might as well do a small solo show while I'm there since it's been so long. It will be special and maybe we can have one of those houseparties afterwards, like we had last time? If my friends neighbors are cool with that, I'll let you know. Also, a few days before that I will play a show in LA at the Mondrian. There's still tickets for that one. By now you should know that Godspeed You! 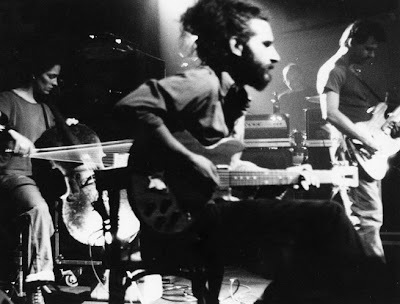 Black Emperor have officially reunited and will be touring the United States, with a stop in Los Angeles at The Henry Fonda Theater on February 23, 2011. What you may not know is Goldenvoice is doing a presale on Friday, September 24, 2010 at 10:00 a.m. The password arrived in SSM's inbox this morning, so good luck: TRALALA. OK, gang! 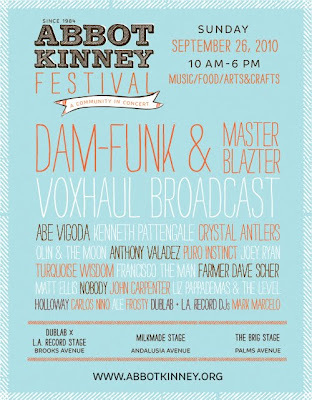 This Sunday, head down to Venice for the Abbot Kinney Festival for three stages of free music. Of interest are Voxhaul Broadcast, Abe Vigoda and Crystal Antlers, among many other bands and DJs (including the dublab crew). There will be a smattering of food trucks, two beer gardens, plus all that is good and right (and wrong) about Venice. And there will be bike valet, so DON'T drive! Check the music schedule here. 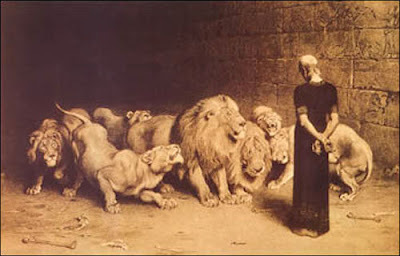 SSM favorite A House For Lions has been gaining traction recently, and will be treating L.A. to (at least) two performances in the near future. 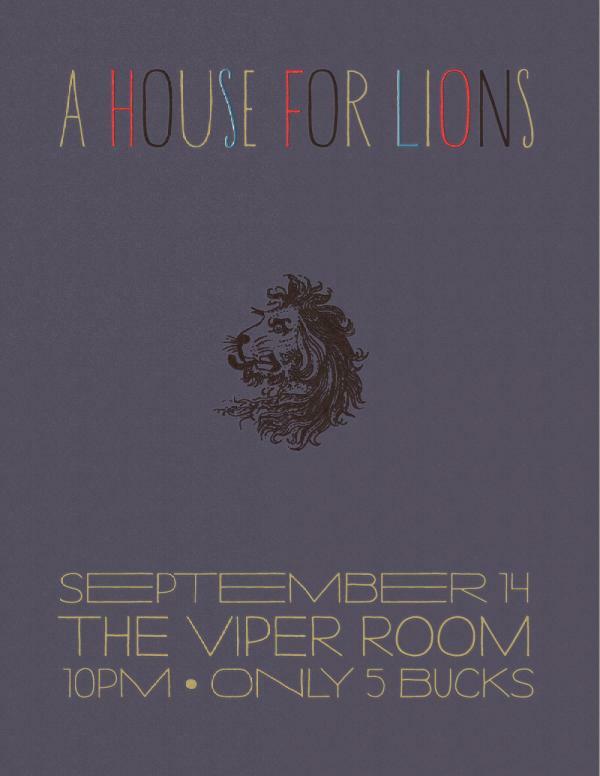 The first show is on September 14, 2010 at The Viper Room. The second show is on October 4, 2010 at The El Rey, where they are performing as Jacknife Lee's hand-picked support for Tired Pony. Tickets for that show available here. The band will be recording an EP in the next month at Red Rockets Glare Studios with Raymond Richards (Local Natives, Parsons Red Heads, Ferraby Lionheart). UPDATED: Ticket info here. Deakin and Prince Rama will also perform! Austrian experimental electronic music godfather Christian Fennesz will be treating fans to a rare North American tour in the coming months. 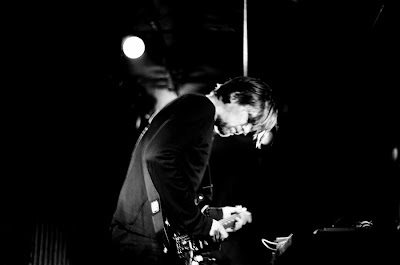 Eagle Rock's Center for the Arts will host Fennesz on September 29, 2010. Ticket information TBA. 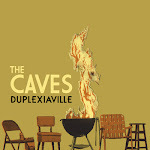 The Caves are a "post-indie" band from Kansas City that weave mellow semi-acoustic tunes about growth, decay, and deceit. Bassist/Producer/Engineer David Gaumé is an old friend of SSM. The band is rounded out by Andrew Ashby (Guitar, Voice), Elizabeth Bohannon (Keys, Percussion, Voice) and Jake Cardwell (Drums, Percussion). A highly recommended EP has just been completed. Head on over to their Myspace for some sample tracks. For KC-area listeners and internet seekers, you can catch them live on 96.5 on Wednesday, July 14, 2010 (about 9:00 a.m. CST). The Shadowbox #1- The Caves from Gnarly Enterprises on Vimeo. Also happening this week is a free EP from Nathan W. McKee. The release is entitled For Leanne Marshall's Runway and compiles the tracks McKee composed for her shows. This work is a densely electronic affair, reminiscent of Four Tet and about half of TNT. McKee's next release apparently features vocals (but whose vocals is unclear). Download the EP here. 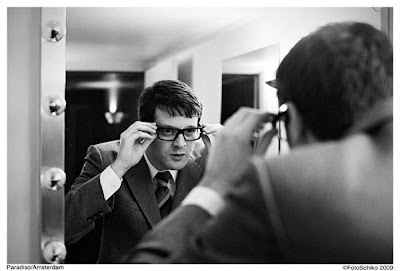 On June 12, 2010, Stones Throw Records soul protégé Mayer Hawthorne will be performing at the Getty Center, as part of this year's "Saturdays Off the 405" series. 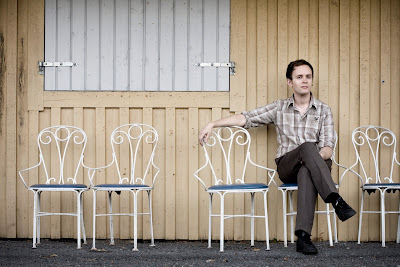 So drop by and enjoy the tunes, cocktails, art, and the sweet sounds of Mayer Hawthorne. 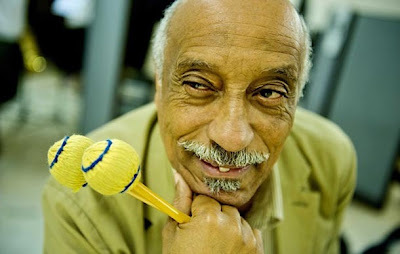 Giant Step has an excellent piece on Ethiopian percussion/vibraphone king Mulatu Astatke. The article focuses on his everreaching influence, and includes mp3s and stream of tracks by Quantic, Nas & Damian Marley, and Oh No, among others. Enjoy! 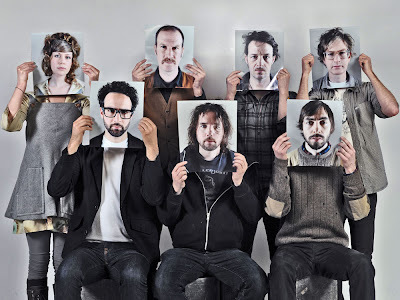 In addition to performing at the Henry Fonda tonight, Broken Social Scene are set to do a free in-store gig at Amoeba Records tomorrow, May 4, 2010 at 6:00 p.m. SSM thinks you should go! 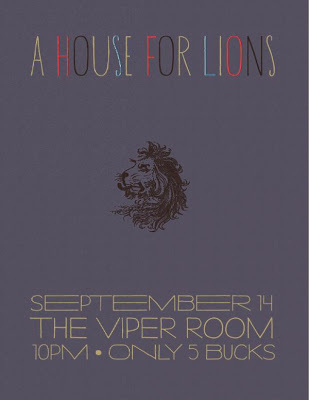 Nascent hush-folk group A House For Lions are performing on Cinco de Mayo at M Bar, located at 1253 Vine in Hollywood. While that holiday is usually associated with boisterous celebration, SSM recommends that you find yourself in the dark coziness of M Bar listening to the Kozelek-influenced sounds of this promising group. "What did South Africa and South East Asia of the 1940s and 50s have in common? In both places the local population was trying to gain independence from British colonialism. 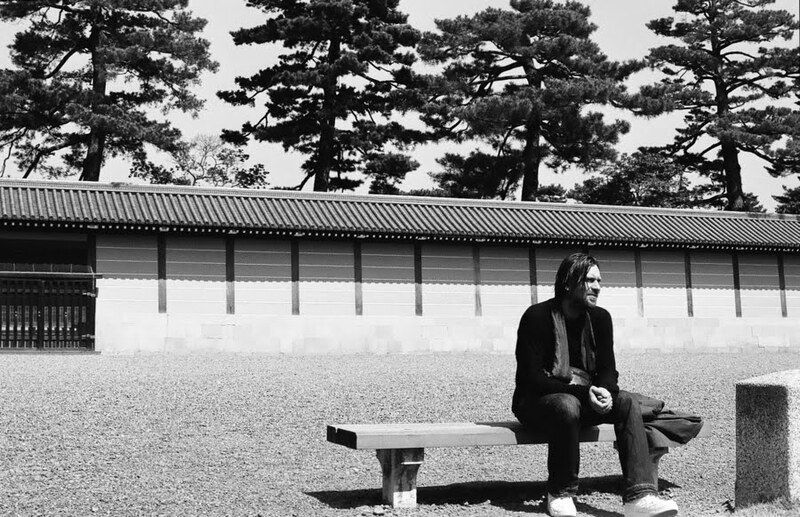 Although colonialism is never a good thing, there are always some positive outcomes when two cultures collide, especially when it comes to music. The Zulu of South Africa are the largest ethnic group in the country and are well known for their rich musical traditions. In the 1940s, however, Zulu musicians began fusing traditional Zulu choral music (often sung by migrant mine workers), like Mbube and Isicathamiya, with the instruments and rhythms of Western jazz. A continent away in India, we see that the same kind of musical revolution was taking place during this same period. Calcutta in particular became a musical hotbed beginning in WWII, when it became one of the major ports for the South East Asian Theatre of the War. 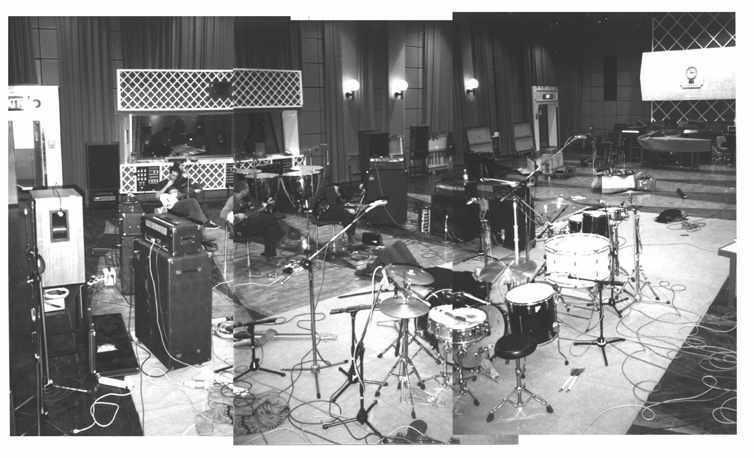 The jazz scene was dominated by house bands from the various luxury hotels and British social clubs, with these bands often recording for the South East Asian division of E.M.I. Interestingly, one of the hottest stars on this scene during the 1940s was Teddy Weatherford, an African American ‘expat’ from the Chicago jazz scene. Beginning in 1942, following the Japanese invasion of Burma (Myanmar), hundreds of thousands of refugees poured into India, among these great jazz musicians like Reuben Solomon (of Iraqi Jewish descent) of ‘The Rangoon Gymkhana Club’ fame. Batuk Nandy, on the other hand, was a well-known steel guitar player who rose to fame by making “filmi” music for Bollywood films, while Bismillah Khan was an Indian shehnai (a traditional flute-like instrument) master, and one of only three classical musicians to have ever won the Bharat Ratna prize, the highest civilian prize in India. Khan was also one of the few musicians to perform at Delhi's Red Fort in 1947 for India's Independence celebrations. 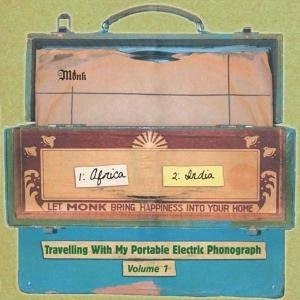 Despite the obvious negative outcomes, different cultures and religions forced together in the face of economic and political adversity has historically been a recipe for great music, and as this album testifies, India and South Africa were no different." Highly recommended via SSM and Love Garden Sounds. Details are scarce, but SSM has learned that Gruff Rhys of the Super Furry Animals is currently recording in Los Angeles for an upcoming release. So, what does the lead singer of arguably the best psychedelic fuzzed-out techno Welsh act do when he needs a female vocalist? 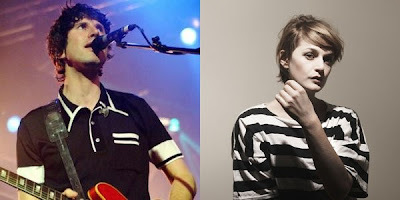 He calls up Sarah Assbring of El Perro Del Mar and gets her in the studio for what is sure to be a loving duet by two talented songbirds. Or something. Ms. Assbring is hot off the last night of a doubleheader tour with El Perro Del Mar and Taken By Trees. The bands are on Morning Becomes Eclectic today for the first ever joint MBE session, performing live at 11:15 a.m. 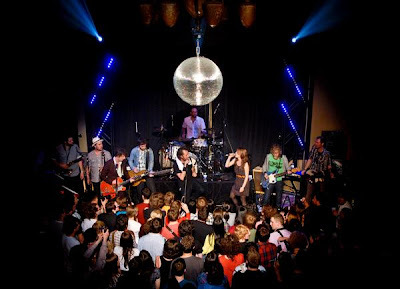 The anthemic and eclectic and AMAZING Canadian rock collective Broken Social Scene will soon be gracing Los Angeles with a live performance in support of their upcoming fourth LP, out May 4, 2010. SSM editors and correspondents agree: BSS (as the act is referred to around these parts) are one of the supreme live acts out there and it will be incredible to see how new producer John McEntire's influence affects the show. Vibraphones, anyone?